The palm is a symbol of the arrival of Jesus in Jerusalem just before his crucifixion, as crowds waved palm branches, sang "Hosannah, " and covered his path with the branches. Christians in Kenya joined the rest of the world to mark Palm Sunday in different churches across the country. The pope said that "Jesus destroyed his triumphalism by his Passion". Earlier this month the 82-year-old pope attempted to bring peace to Africa, kneeling and allegedly kissing the feet of the leaders of conflict-torn South Sudan - President Salva Kiir and opposition leader Riek Machar. 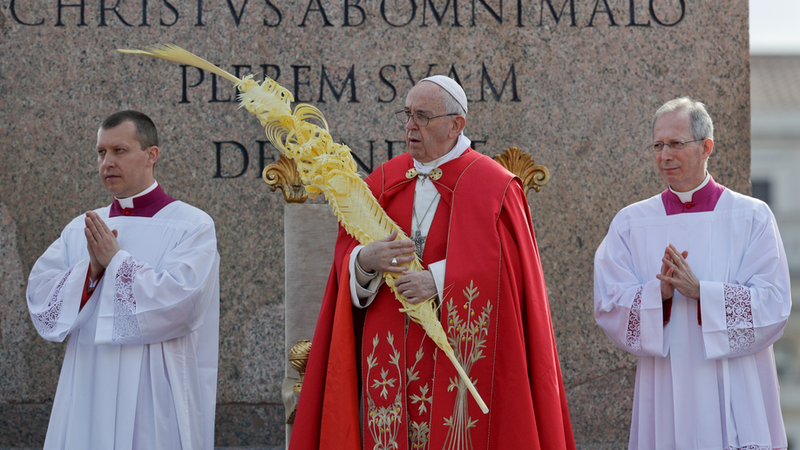 According to the Salvation Army, there are many traditions that take place on Palm Sunday but one of the most common is for individuals to give out or receive small crosses made from palm leaves, as a reminder of Jesus' entrance into Jerusalem and his death on the cross.